Since its first announcement last summer, the release of Epson’s new TRUME range has been hotly anticipated. Not just because the electronics giant, best known for its ubiquitous printers, is reviving a piece of nostalgia – the analog wrist watch. 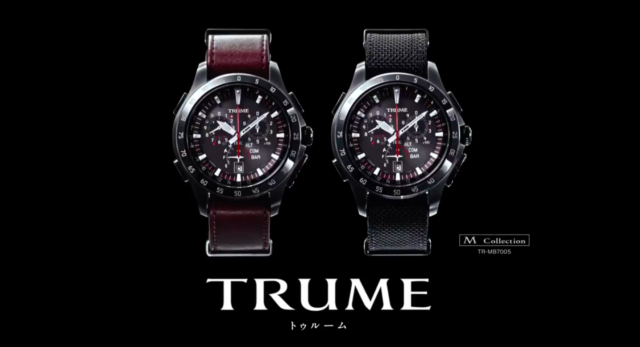 The TRUME watch is also powered by state-of-the-art technology, so sits at the leading edge of analog-meets-modern design. Devising a way to convey the finest details of this fusion via a 30-second instrumental piece of music was our challenge to resolve. Yet resolve it we did, courtesy of a profoundly talented Tracks & Fields musician! His signature improvisational style with acoustic guitar combines precise fingerstyle playing with percussive tapping on the instrument’s wooden body. It’s a technique that can only be refined through after years of study and development. The piece used in the film comes alive within the warm resonance of the guitar and was recorded in one single take.